Malva sylvestris is a species of the mallow genus Malva in the family of Malvaceae. Known as common mallow to English speaking. Mallow migrated from its native home in Western Europe, North Africa and Asia through the English speaking world. 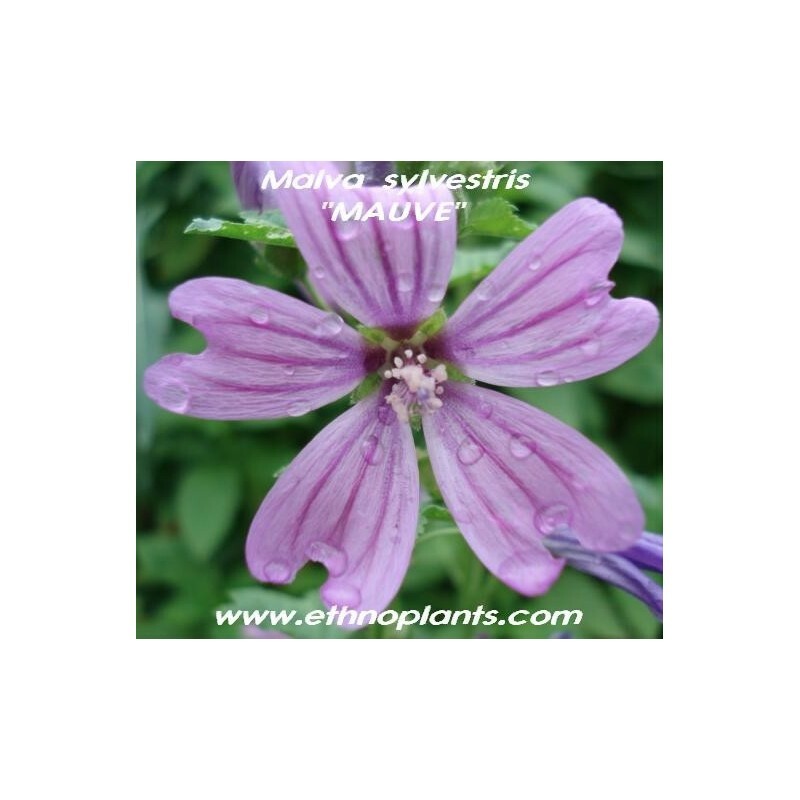 Malva sylvestris is a vigorously healthy plant with showy flowers of bright mauve-purple, with dark veins; a handsome plant, often standing 1 m hight. Mallow has been used medicinally since ancient times and is still used in modern phytotherapy. Mucilage is present in many of the Malvaceae family including Malva Sylvestris, especially the fruit. The seeds are used internally in a decoction or herbal tea as a demulcent and diuretic and the leaves made into poultices as an emollient for external applications. Mallow can also taken internally for its laxative effect. The species has long been used as a natural yellow dye, perhaps more recently, cream color, yellow and green dyes can be obtained from the plant and the seeds.